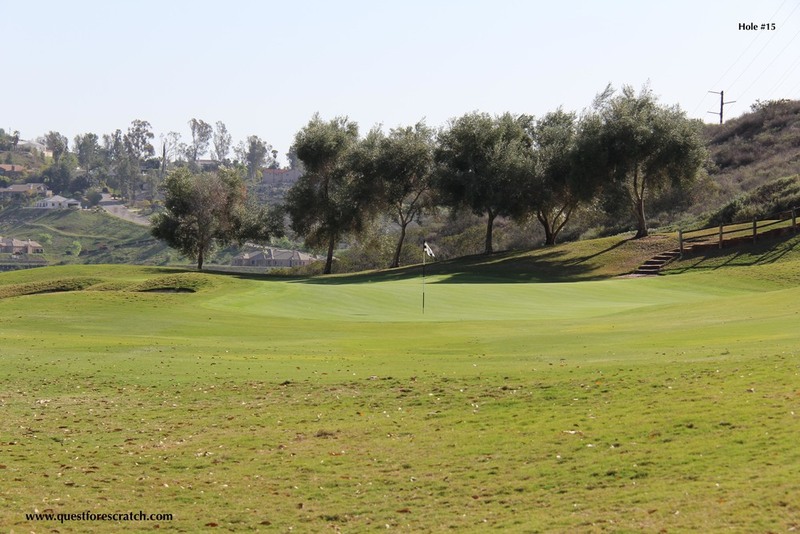 Maderas Golf Course is nestled in the foothills of Poway, California where it offers some of the most challenging terrain in San Diego. Growing up near Poway, I knew the area before development began. The golf course and landscape were rugged and vast with well-established trees, deep valleys, and undulating hills. Johnny Miller and Robert Muir Graves designed the course and did a fantastic job of keeping the integrity of the landscape, tying in the surrounding homes with flawless perfection. The Staff is friendly and courteous; they are always willing to help make your golf experience first class. When arriving at the course, you are greeted by outside services with a friendly smile and courteous welcome. Entering the pro-shop you will be equally impressed by the inside staff, they are eager to get you checked-in and on your way to experience all that Maderas has to offer. The pro-shop is filled with the latest equipment and Maderas branded apparel, from hats to belts and wallets. You are sure to find a souvenir that fits your style. Once checked-in, navigate to the practice facility, which in my opinion is one of the best public facility's in San Diego County. Make sure that you arrive early so you can enjoy the chipping range, driving range, practice bunkers, and two large putting greens to work on any part of your game before beginning your round. After you warm-up, the golf starter will take his time explaining the nuances of the course and provide tips, giving you detailed instructions on course layout and management. The real fun begins when you start the round and immediately know that this is not your average golf course; you will realize that you are in for a special day. Troon Golf, the management company that runs the course on a day-to-day basis, is a leader in upscale golf course management. Their skill is evident in all aspects of Maderas and will have you leaving with one thing in mind: when can I come back for more? For more on Maderas, visit their site at http://www.maderasgolf.com/.